I woke up at 6 this morning to make a coffee cake (yes that is suppose to be a coffee cake in that picture) for my mom's birthday. Well...at least it was the thought that counts, right? 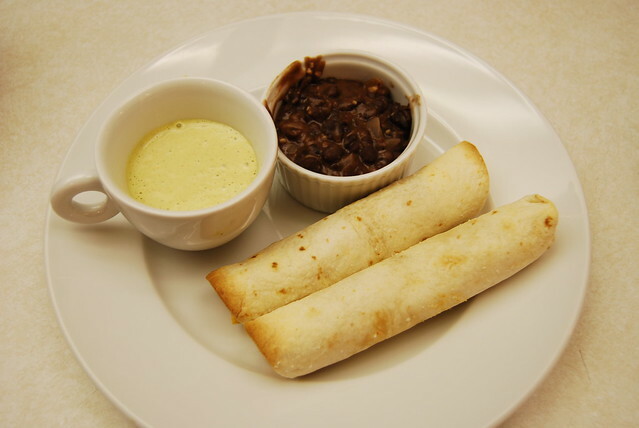 I used Kristen's recipe and thought that I did everything right until I pulled it out of oven! It was flat as a pancake and maybe one of the worst tasting things ever! I took one bite and had a horrible aftertaste for hours. Poor Ella tried a bit and was wiping her tongue with a napkin! It really was so gross. So after talking to Kristen it turns out I forgot to add 2 cups of sugar to the recipe! I blame it on the pregnancy and the fact that it was way too early to be baking. I can't believe I forgot to add sugar! So after we dropped Ella off at school my mom and I went to get a pedicure. We went to this fantastic spa called Woodhouse. It was so nice and very relaxing. Ella can sing Happy Birthday all by herself and it is just the sweetest thing to hear. So of course we sang and re-lite the candles about 5 times. 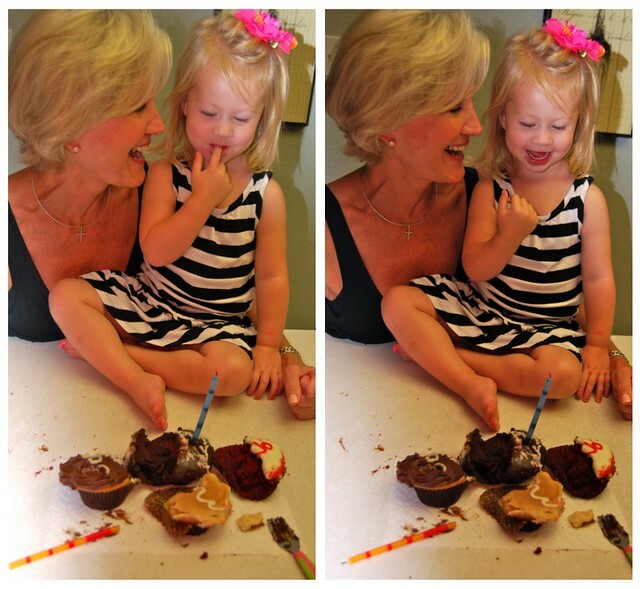 Ella loves birthdays, just like her Jo Jo and mama. 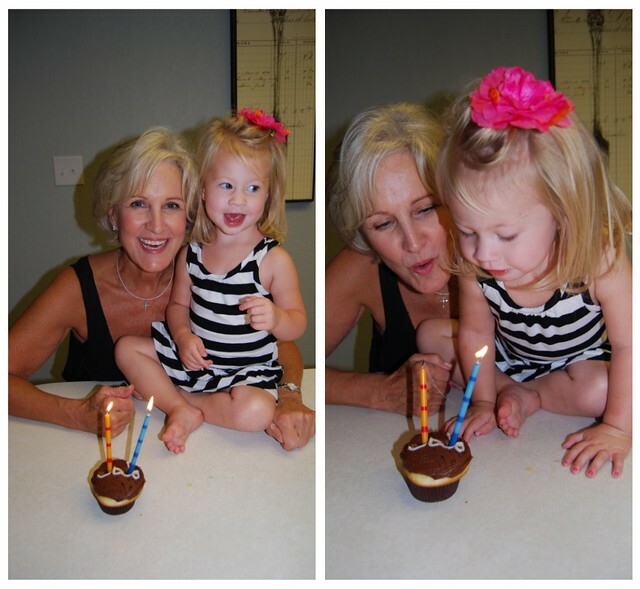 It was such a fun day celebrating my mom's birthday and I am so thankful that we could spend the day with her. We love you mom, happy birthday! happy birthday jojo!! love you so much!! Thank you for the perfect Birthday! It was so fun! You have a special gift of making people feel so special! Thank you so much! 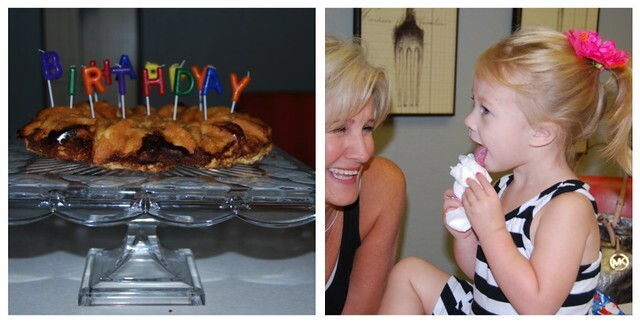 What a special birthday for JoJo! Y'all look like you are having so much fun this week. Ella is such a big girl now! So beautiful...just like her Mom and JoJo! I still think it is so weird that I sent you a recipe that you already make, and were making the next day. WEIRD. Looks like y'all had a fun day! Happy Birthday JoJo! Happy birthday JoJo!! Looks like ouch a fun day! Glad y'all could spend it together! p.s. I love Ella's cute black and white dress! !